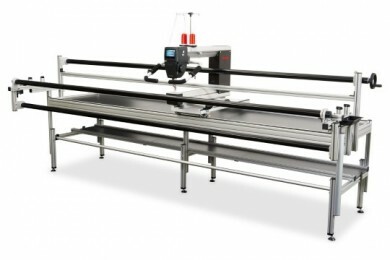 The BERNINA Q 24 frame model machine has ample room for your large quilt projects. The frame will accommodate a quilt up to 108” wide. Your choice of 9', 11' or 13' frame. Add the Q-matic Software! Price does not include delivery & installation charges.